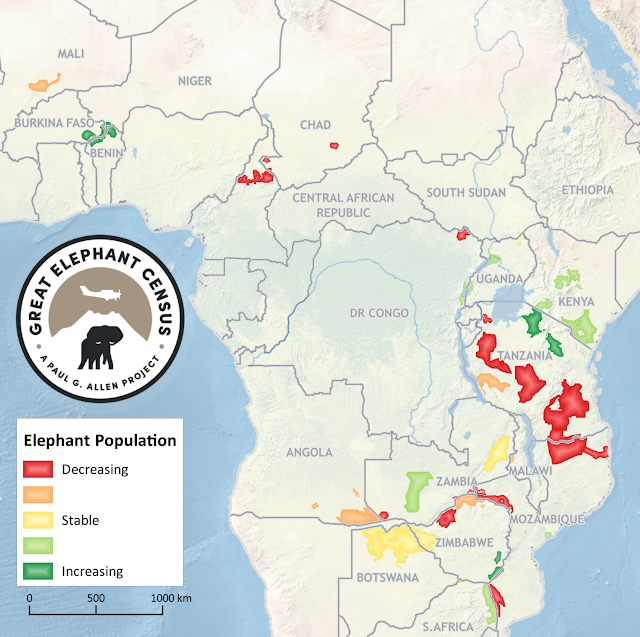 The results of the Great Elephant Census have been published, and it's not good news. 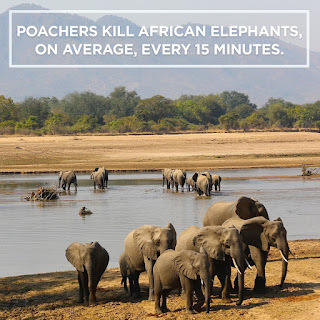 The project, funded by Paul Allen, found that African elephant populations had dropped to about 375,000, down by 144,000 since 2007 (a 30% drop). 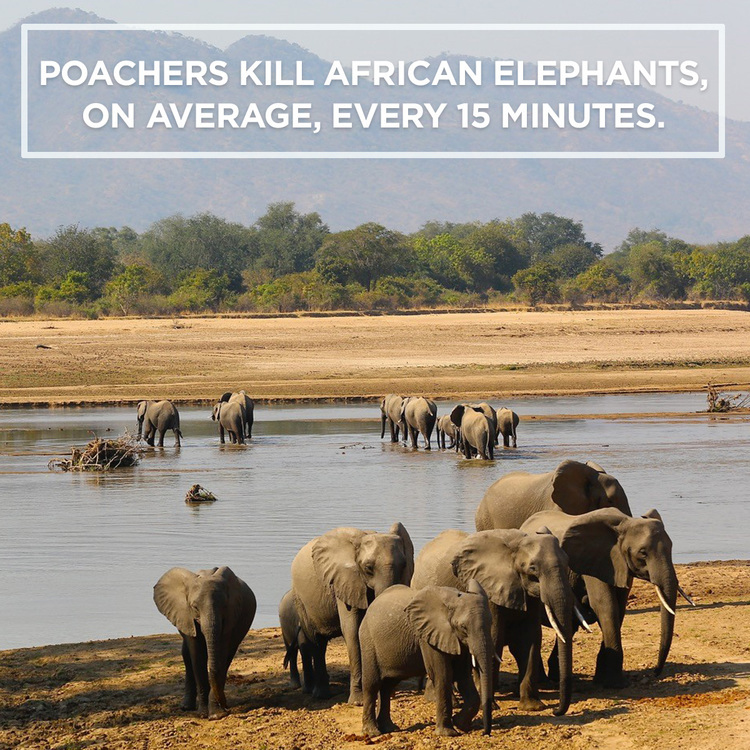 If the rate of decline continues at the current level of 8% per year, half of Africa's elephants will be gone within nine years. According to the Seattle Times, some of the most precipitous losses -- shown with the large areas of red on the map above -- were in Tanzania, where the census documented a decline of up to 60%.